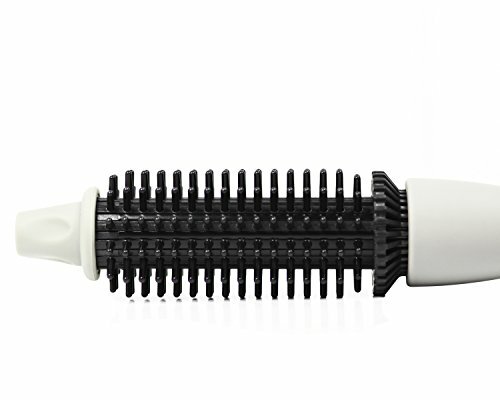 The Perfecter Pro Grip heated round hot brush Designed by Maria McCool, recognized stylist for over 25 years. 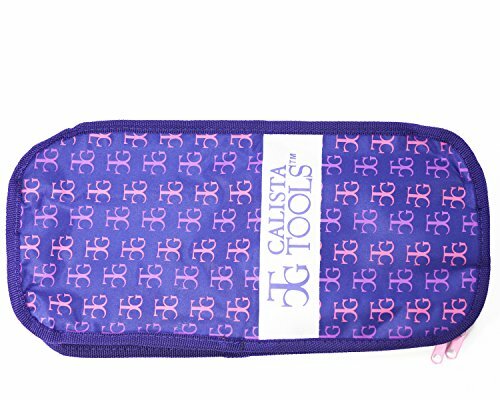 Maria set out to develop a professional-grade product that would solve common hair issues for all women. 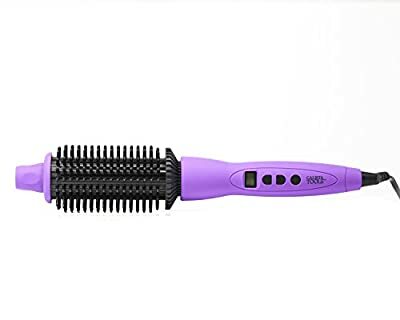 The pro-quality bristles work to help perfectly Smooth, Straighten, Direct, Lift, Curl, and Add volume to your hair and give you the beautiful "JUST BACK FROM THE SALON" style, look and feel. 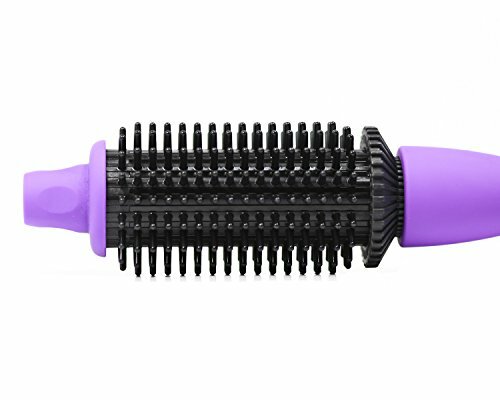 This hot brush with its Soft Touch Grip allows for a more secure hold, works for all hair types, thin to very thick, straight to super curly, fine to really coarse and both long and short. Our innovatively designed hair-styler will replace your hair brush, flat iron, curling iron and hot rollers! 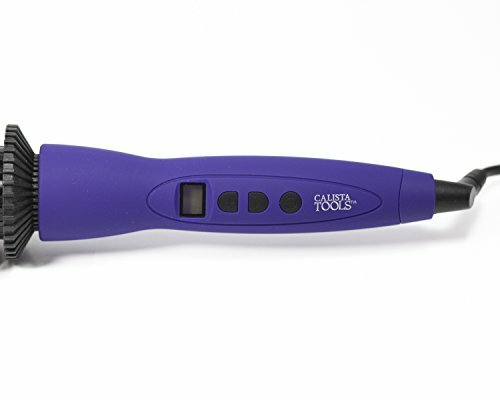 The professional hot brush, made easy to handle, and controlled by you, set it from 325-395 ? and control it on a digital LCD screen, in increments of 10? degrees. With an added security feature that will shut off after one hour automatically, so you never have to worry if you remembered to turn it off. To avoid tangling do not wind hair more than 2.5 times. 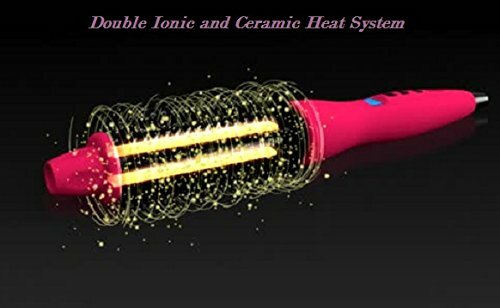 Combined Dual Ceramic and Ionic technology produce quick and even that will give you professional results and will infuse hair with body and shine, Lifts, directs, smoothes, curls, and volumizes all hair types: thin to thick, straight to curly, 325-395 ? temperature range, temperature set in increments of 10? degree If your hair is fine or over-processed, choose a lower temperature setting, coarse or heavy hair will need a higher setting Automatic shutoff after one hour ETL and UL listed; Lifetime Limited Manufacturer's Warranty Fine to coarse. Choose the 1" barrel if you have short hair and the 1-1/2" barrel if you have medium to long hair.